Our cheeses are made in small batches with Robie Farm raw milk, then aged on wooden planks in the cheese cave right here on the farm. Serve at room temperature for a deliriously tasty experience. ​All of our cheeses are made from GMO free milk. Toma is a traditional Italian Alpine-style table cheese. It has an elastic body and a confident, but gentle nuttiness. 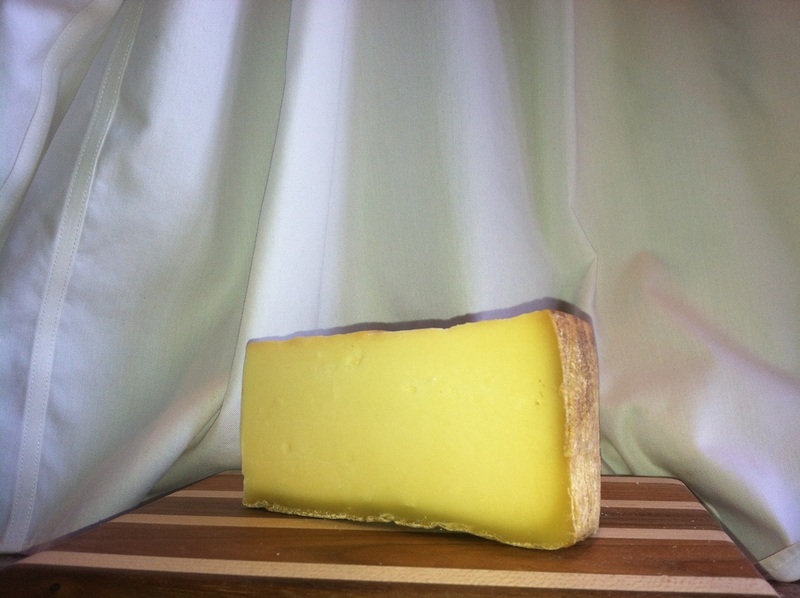 Also available smoked -- the hickory smoke accents this cheese's nutty flavor. This is truly an artisan’s smoked cheese that bucks tradition. It is lightly hickory smoked to accent its unique nutty flavor. Named after the beautiful and uniquely diverse village in which it is made, Piermont is a delicate yet tangy semi-soft cheese with pleasing undertones. 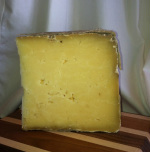 Swaledale is a cheddar type cheese, but should not be confused with the cheddars commonly found in the supermarket. It is a clothbound English farmhouse cheese that truly stands on its own. With a semi-dry texture and a long, deep finish, your taste buds will be drawn in and left longing for another bite. A Swiss-style alpine cheese famous for fondue, but also an excellent table cheese. Great for cooking too!